Driving from the airport this morning, I already saw the buildup along Villamor due to some roadworks being undertaken along the overpass crossing the SLEX. As such, I decided to take an alternate albeit longer route via Tramo and EDSA on my way back to Antipolo. 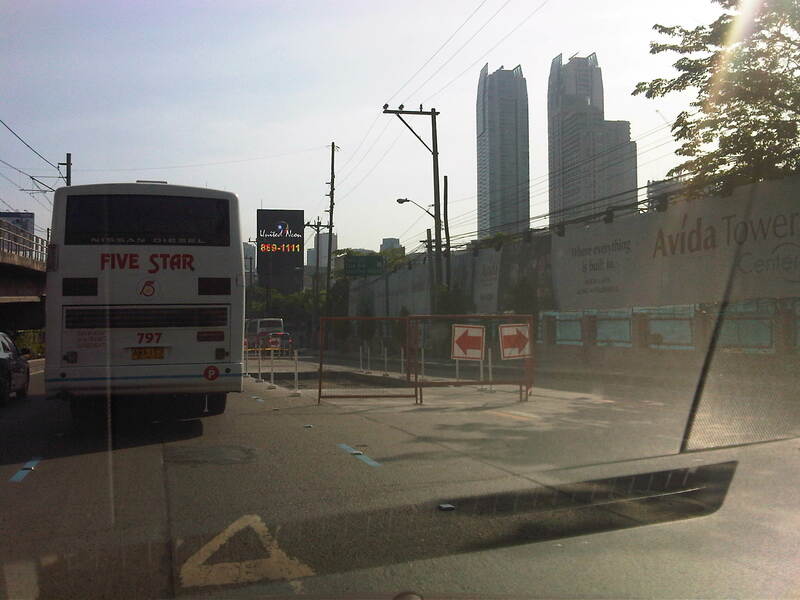 It would have been longer but I had assumed Tramo and EDSA would be free-flowing at 7 AM on a Saturday. I was wrong! Tramo congestion – Tramo is usually congested due to a variety of reasons including provincial buses maneuvering to and from terminals and depots located along the EDSA-bound side of the road and the proliferation of tricycles and pedicabs operating along the road despite the clear ban against them on national roads. The latter serve the informal settlers who live along Tramo (and Pasay), even occupying parts of the waterways in the area. 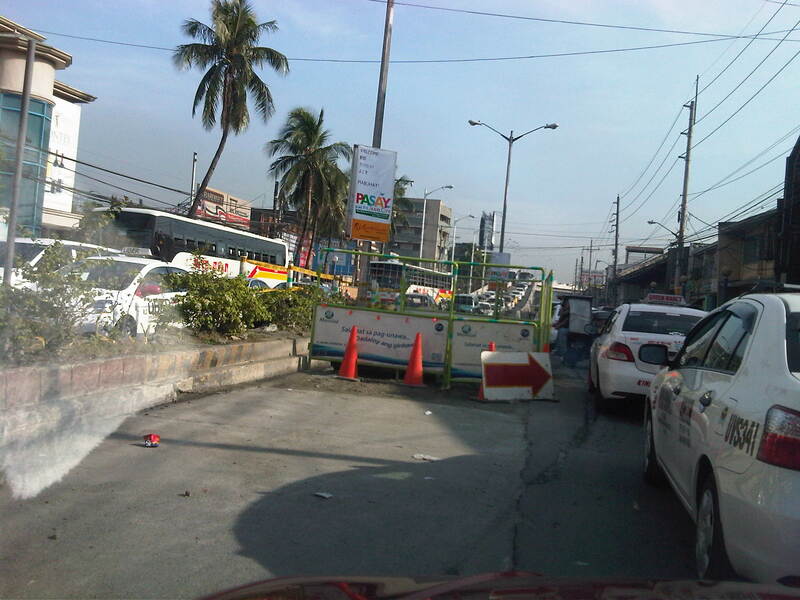 This morning, waterworks by concessionaire Maynilad added insult to the injury that is congestion along the road. Airport-bound traffic wasn’t so lucky, too, as they had to contend with what seems to be a flawed setting of the traffic signal at the intersection downstream. More traffic – after passing the Maynilad work site, there was still much congestion and it turned out this was due to very slow turning (i.e., all vehicles must turn right upon reaching EDSA) as MMDA traffic enforcers were not doing their jobs to ensure the intersection was clear of buses, jeepneys, taxis, and tricycles and pedicabs loading and unloading after the intersection, along which provincial bus terminals were all lined up. That’s right. There are tricycles and pedicabs along EDSA. I would have taken photos of the situation but unfortunately, these have to be against the sun and my trusty cell phone could not manage to get good photos. 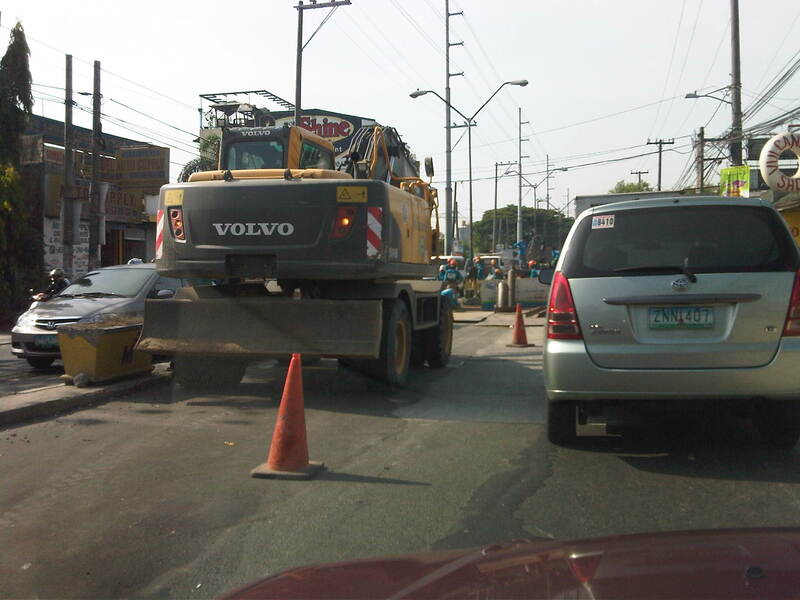 Such congestion is supposed to be manageable if enforcers would just be strict/firm in doing their jobs. 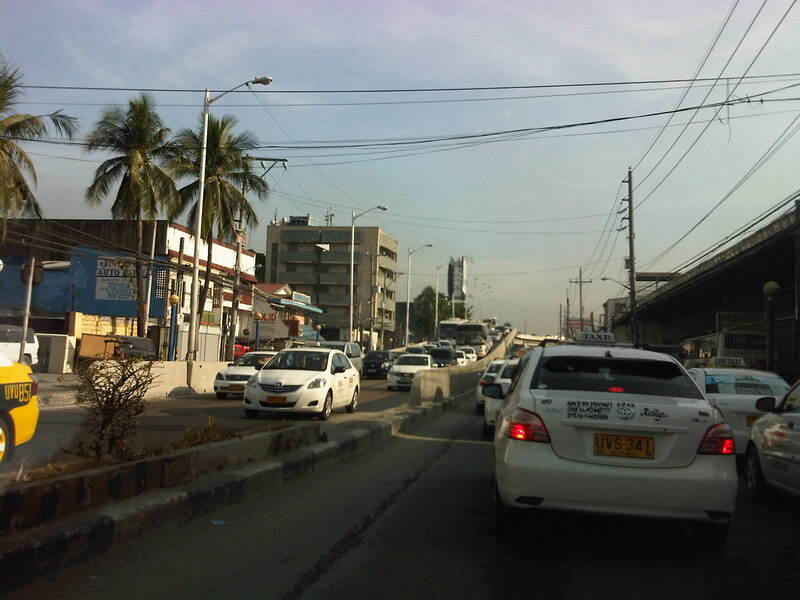 EDSA traffic – after recovering from the congestion along Tramo and the stretch of EDSA from Tramo to Magallanes, I stumbled upon another buildup as I passed Guadalupe and crossed the bridge at the Pasig River. 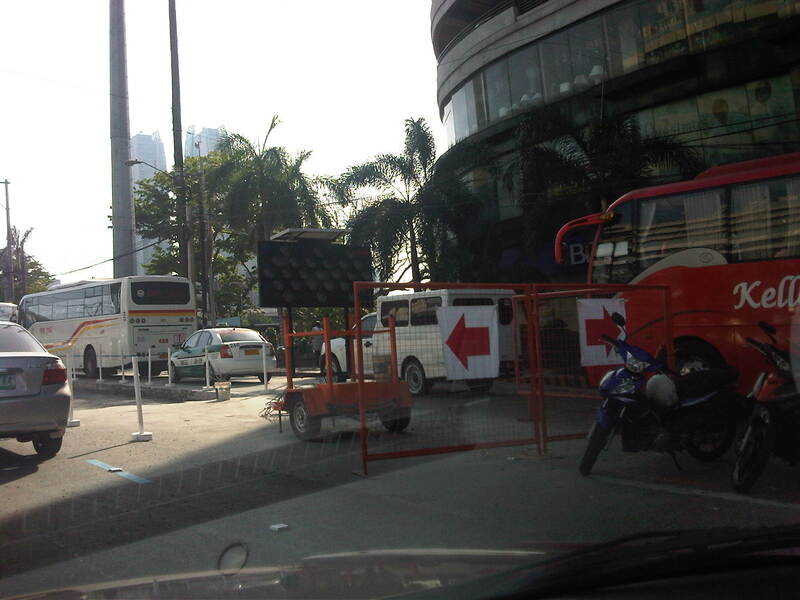 Re-blocking – it turned out that the congestion was due to roadworks along a lane of EDSA, which practically occupied 2 lanes due to the equipment and temporary barriers set up in the area near Reliance and the Boni MRT-3 Station. 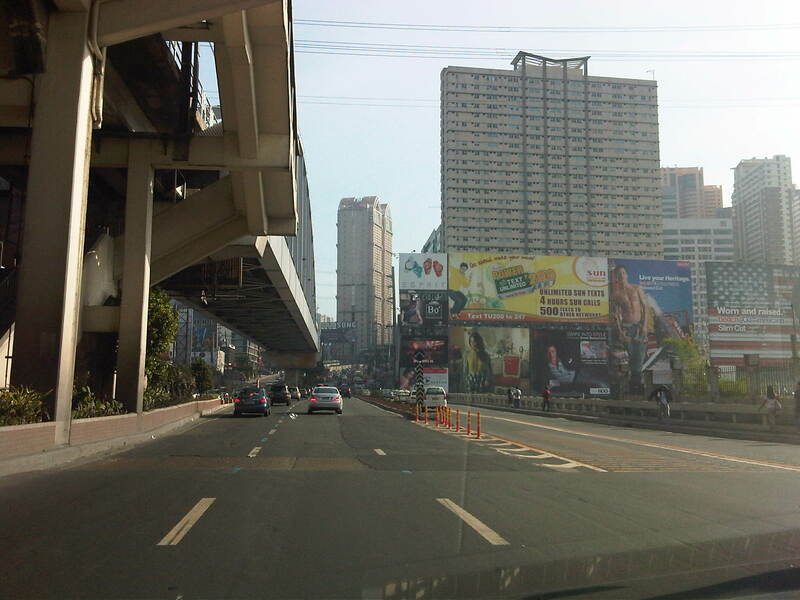 Hectic schedules – I forgot that the re-blocking works along EDSA and other major roads in Metro Manila are undertaken during the weekends when traffic was supposed to be relatively light compared to the weekdays. 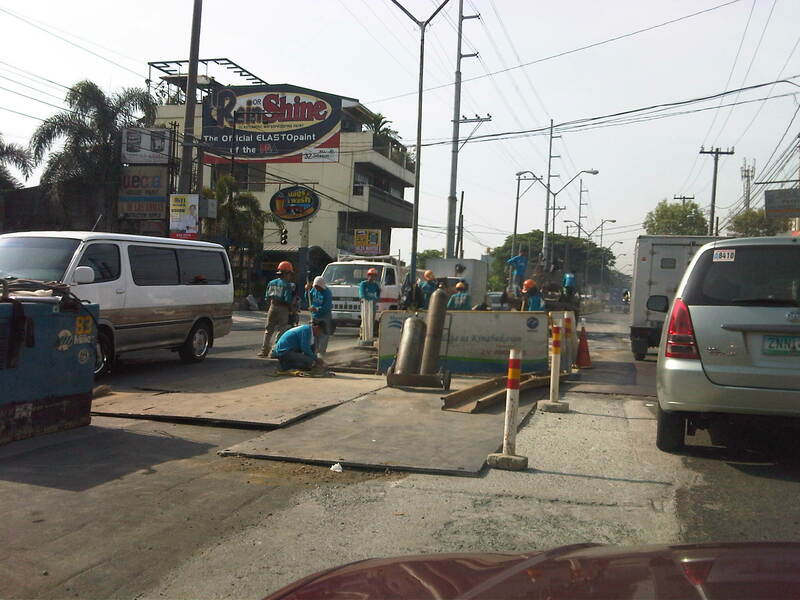 As such, the MMDA only allows DPWH and its contractors to conduct works during the weekends, targeting completion by Sunday night in order for the lanes to be usable by Monday. Imelda Avenue again – as if the congestion along Tramo and EDSA were not enough for a Saturday morning, I encountered still another bottleneck along Imelda Avenue in Cainta. This was quite surprising to me as water works in the area were supposed to have been completed more than a month ago. Surprise! surprise! – what I thought was a completed project turned out to be something that was stalled for some reason. I think this may also be related to a similar policy being applied to the contractors, restricting their work to weekends. There must be a better way to manage traffic along work sites like the one above? Perhaps work should not be limited to the weekends but be allowed during the late nights to early mornings (11PM to 5AM). This would allow for more time to be available for contractors to complete projects especially during these months of April and May when school is out and weather (read: rains) is not necessarily a factor working against such road and water works. While it is really difficult to work under the scorching sun, it is still no excuse for enforcers to do their jobs right in managing traffic to ensure smooth flow. It is a wonder how we cannot impose discipline on erring drivers at the cost of valuable time and fuel to other travelers.